DriveSavers, the worldwide leader in hard drive data recovery, helped pioneer the data recovery industry in 1985. Home users and businesses alike rely on DriveSavers to recover lost data from failed storage devices that cannot be accessed by normal means. DriveSavers data recovery experts consistently recover data that other service providers have deemed “lost forever”. DriveSavers data recovery engineers are the best in the industry at handling physical hard drive failures and logical data corruption. 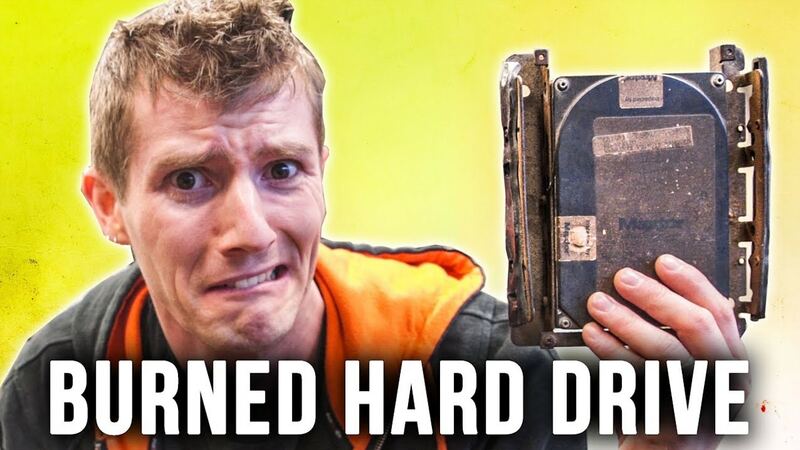 We recover more lost data from dropped, damaged, corrupted and traumatized drives in one day than the average data recovery service provider does in one month. Each data loss situation is unique. DriveSavers operates the industry’s largest state-of-the-art Certified ISO Cleanroom environment, and has developed proprietary hardware and software that allows us to deliver custom data recovery solutions for all common and catastrophic hard drive data loss situations. 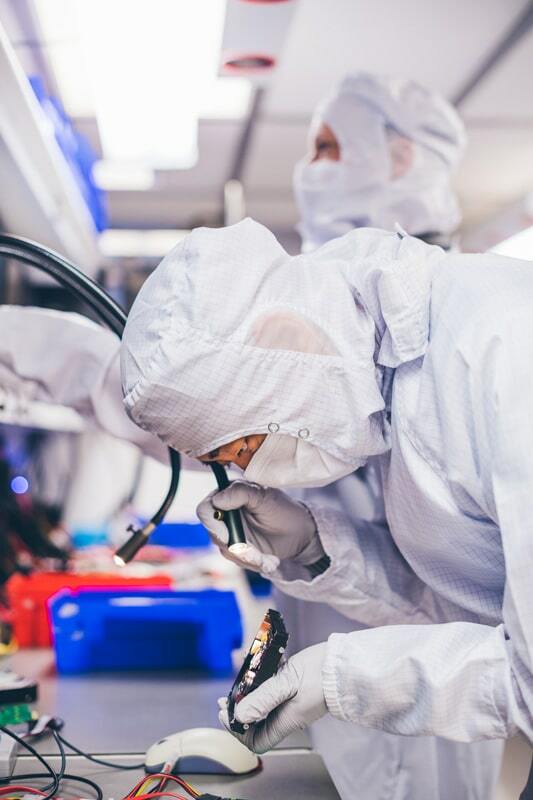 During the data recovery process, engineers carefully disassemble data storage devices, inspecting them for physical damage and performing component-level repair. 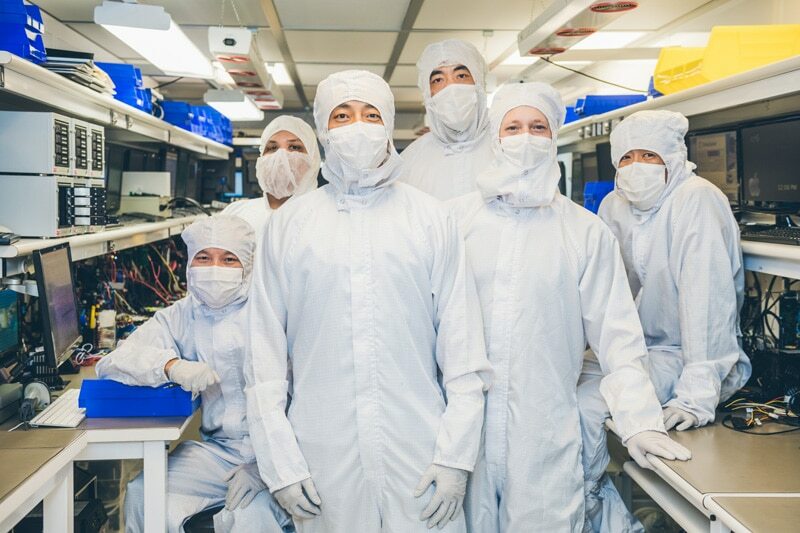 To minimize contamination and maximize recovery results, all recoveries are performed in DriveSavers Cleanroom environment—the most technologically advanced data recovery Cleanroom environment in the industry. It features three separate ISO- certified Cleanroom areas: ISO Class 5, ISO Class 6 and ISO Class 7. Our inventory of over 20,000 parts and drives are stored in an ISO Class 8 clean zone. All data recoveries are performed in accordance with standards set by leading hard drive and data storage manufacturers; our data recovery process will not void their original warranty. Our engineers understand encryption. They have been trained and certified by the leading encryption software vendors to safely recover file–level and disk–level encrypted data. We can recover from encrypted hardware, software, email, network files, web pages, storage and backup devices without compromising the original level of encryption. DriveSavers can customize security protocols beyond those we routinely provide. Image-only. Data is recovered and restored in an image-only format and returned with the original encryption intact. You decrypt the data yourself. Full Decryption. Encrypted data is recovered and decrypted by our engineers to verify the integrity of the data and returned to you encrypted or fully decrypted. 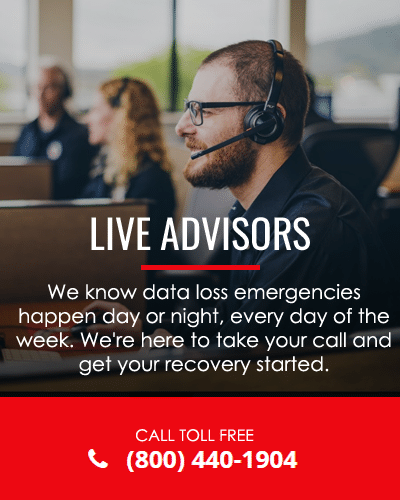 During the recovery process, you’ll have phone access to our engineers as your recovery is taking place. Once the recovery is completed, we can safely and properly recycle the old storage device. Our NSA and DOD approved degausser will destroy residual data on the old source drive permanently. When sensitive data is being recovered, maintaining a high level of security isn’t an option—it’s a requirement. DriveSavers is the only data recovery company in the industry that undergoes an annual SOC 2 Type II audit, adhering to the corporate industry’s standard for overall control structure. The SOC 2 Type II audit assures our customers that every aspect of our facility and network is secure enough to protect personal and confidential data from a security breach during the data recovery process. At the heart of our certified secure data recovery environment is a self-defending network, protected by a “defense-in-depth” architecture that includes firewalls, intrusion protection systems, managed security services and 24/7 real-time monitoring. In addition to providing the highest level of preventive data security in the data recovery industry today, DriveSavers offers a High Security Service that adheres to U.S. Government protocols and a Forensics Service that supports law enforcement agencies and other legal entities in the United States and abroad, providing full legal compliance, security and confidentiality. Clients like Bank of America, NASA Goddard Space Center, the Department of Defense, the Smithsonian Institution and Lawrence Livermore Labs have all trusted DriveSavers with their critical data when they needed hard drive recovery.